With an extensive and easy to use Holiday Gift Guide, My Wines Direct has gift choices for her, for him, and for the hard to please. 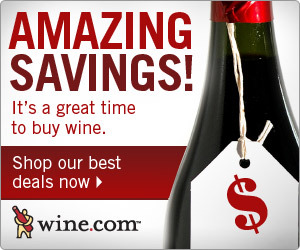 Those gift choices just got better with special savings for you: Today through December 19th, 2010, you can save $15 on all wine orders over $80 plus receive free shipping when you use coupon code AC15 at My Wines Direct! And a quick reminder: December 19th is also the last day you can order wine with free shipping for delivery before Christmas!